When it comes to playing the bass, Victor Wooten is a giant among men, slapping the strings since he could sit up straight and pushing he boundaries of funk and jazz ever since. 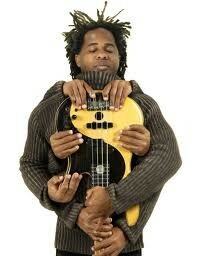 Called “the Michael Jordan of the bass,” Wooten was ranked one of the top 10 bassists of all time by Rolling Stone. His technical skill and unique style have been his bread and butter, winning him five Grammys and worldwide renown as one of the founding members of the super-group Bela Fleck and the Flecktones. Bear witness to Wooten’s virtuosic talents on Thursday, Feb. 21, at the Napa Valley Opera House. 1030 Main St., Napa. 8pm. $30—$35. 707.226.7372.